Believe it or not, corned beef and cabbage is not a traditional Irish recipe. Here are some of the food terms and famous dishes of Ireland. 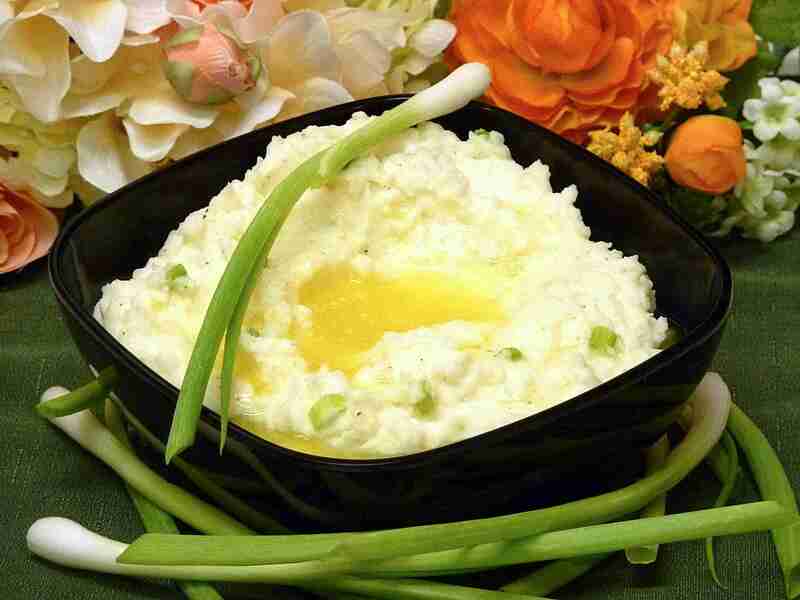 Mashed potatoes with green onion, with a well of butter in the center. The mashed potatoes are eaten from around the outer edge of the well and dipped into the butter. To champ means to bruise, pound or smash, hence the term poundies. A simple stew made of lamb or mutton, potatoes and onions, often with a measure of stout thrown in for added depth and flavor. Often, only lamb or mutton neck bones, shanks, and other trimmings were the only basis for the stock. Yet, these would-be discards still held enough flavor after a long simmering process to do justice to a hearty bowl of stew. Sausages are called bangers in England and Ireland. They are traditionally made with pork, although beef bangers are now common. A banger is defined as an extraordinary lie in the Oxford English Dictionary. The term is most likely a reference to the questionable contents of sausages. Another popular interpretation holds that the term comes from the casings popping or making a bang when they are cooked. Find out how to make homemade bangers. These are simple potato pancakes. Traditionally, they are a mixture of grated raw potatoes, leftover mashed potatoes, baking powder, and sweet or whole milk. Today, they are often flavored with onions and/or garlic. This Irish favorite combines two staple foods: potatoes and cabbage. It is a starchy, filling dish. Just imagine mashed potatoes with shredded cabbage and onions, and you have the idea. This is a simple stew made from pork, sausage, potatoes, and onions. The term comes from the slow coddling or simmering of the dish. Hearty and filling. Pig's feet (trotters) cooked with carrots, onions, and spices or dipped in seasoned breadcrumbs and fried. This traditional Irish food is often eaten after a night at the pub, perhaps as a hangover cure. The standard white potato originated in South America. It was called Irish potato by earlier American generations to distinguish it from sweet potatoes. Potatoes were a staple of the Irish diet. A stew of beef and boiled vegetables in a broth often with the addition of stout beer to strengthen the flavor. The beef, a less tender cut of brisket, is cooked on the stove-top for hours until tender before the vegetables are added. It is truly a meal in one pot. This Irish classic is a quick bread which uses soda as a leavener. They can be either standard bread or sweet bread.